Who doesn’t love a little music in their life? If you are a kid or if you have kids to entertain, then you need some music shakers! These shakers are colorful, make a great sound, and they are super simple to make, especially when you use colorful BAM! Tape™ masking tape! 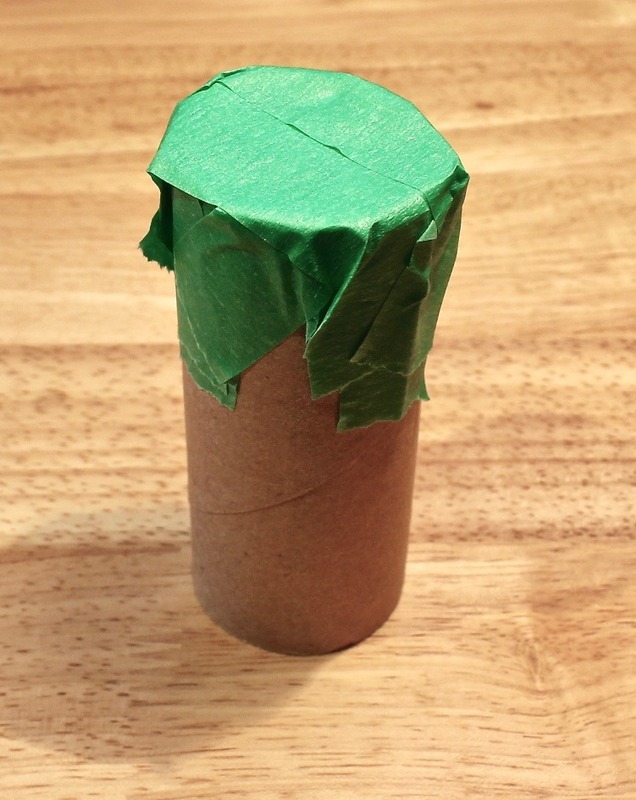 I will show you how to turn an empty toilet paper roll into a shaker, but you can use all different types of containers for this project. 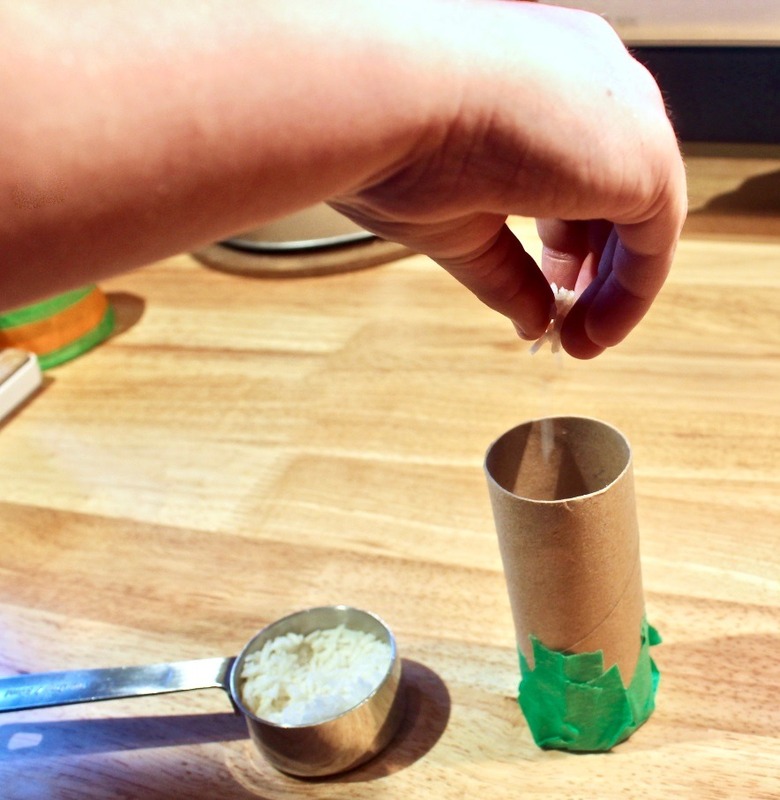 Make a few using a variety of containers as well as various noise makers inside, and listen to the different and unique sounds that are created. As you are moving and grooving with your shakers, try to ﬁgure out how size, shape, weight and materials effect the sounds that a shaker can make. 1/3 cup dried rice, beans, popcorn kernels, or other small hard objects. 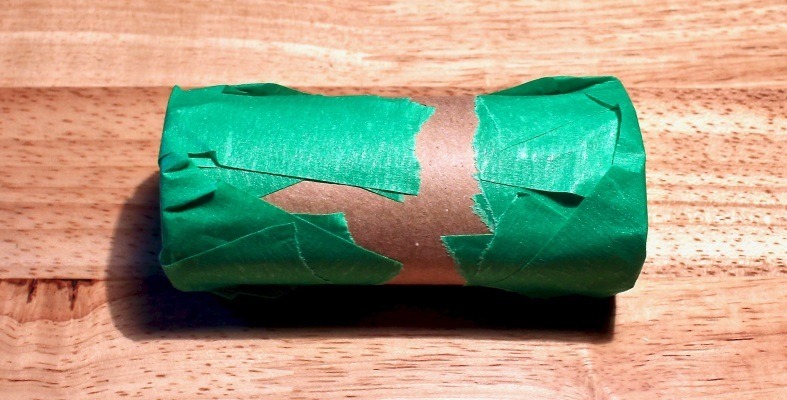 Tape one end of the toilet paper roll so that it is sealed. 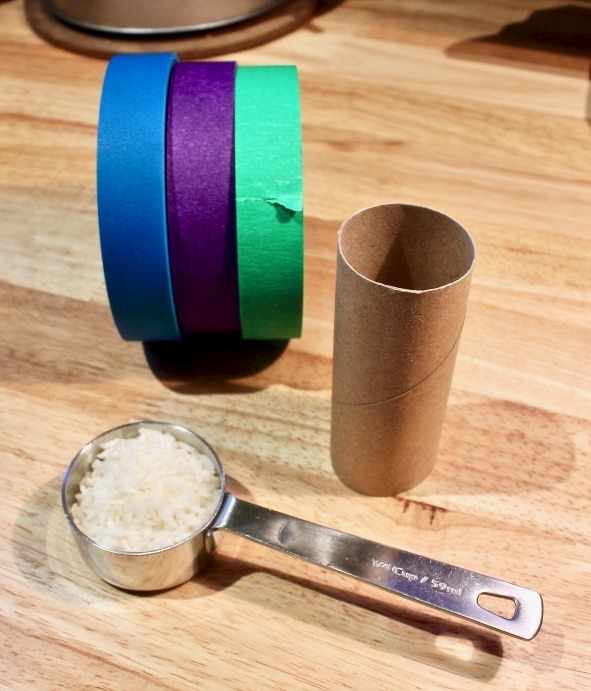 Pour the rice or beans or other noise makers into the tube. Don’t ﬁll the tube. Leave plenty of room for the noise makers to move around in the tube. 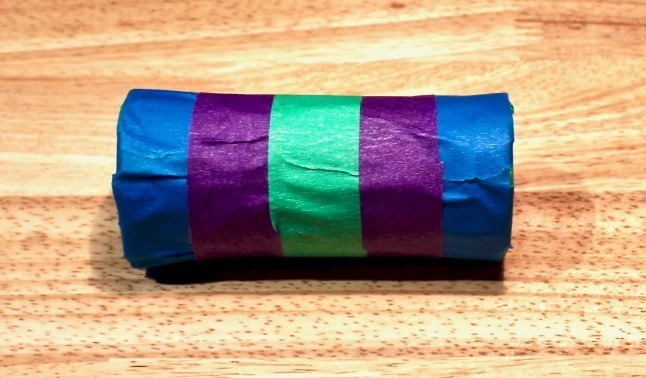 Seal the other end of your tube with masking tape. Be creative and make patterns or faces or whatever you can think of. BAM! Tape™ is writable, so you can even use a permanent marker to add some detail. Shake it up! 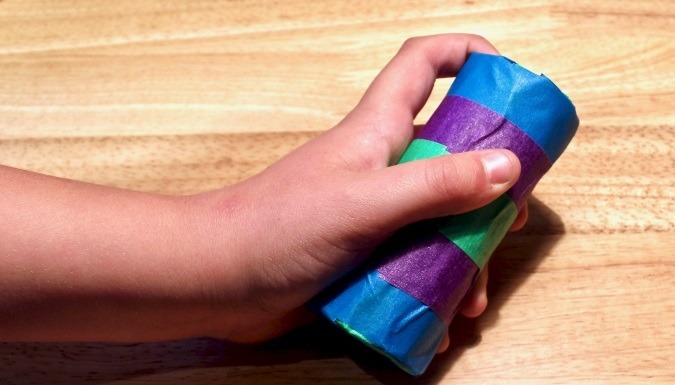 I hope that you enjoyed making this music shaker with your BAM! Tape™. Now go out and make some noise, and make a few more shakers and listen to the different sounds that you can make when you change the type of container as well as the type of noise makers inside.These music shakers are perfect for parties, special events and classroom activities.